On the anniversary of his parents' disappearance, Arnold decides to give up hoping they will ever return home. But while packing away their keepsakes in the attic, Arnold finds his father's old journal, which chronicles his parents' lives together. 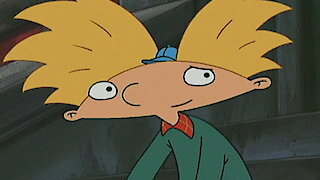 Hey Arnold!, Season 5 Episode 32, is currently available to watch and stream on Nickelodeon. You can also buy, rent Hey Arnold! on demand at Amazon, Hulu, Vudu, Google Play, iTunes online.